Wise people have the ability to make complex things simpler. They always have a great story to illustrate the point or are quick to formulate an analogy to help someone understand what they’re talking about. Wise people also have strategies. That is, they have tried and tested ways of ensuring they achieve success in whatever area of their life they are focused on. They implement, test, adapt, and learn. Jack Canfield is one of those people. In his book, The Success Principles, he carefully layers principle upon principle and leads the reader on a journey to success. This book is like every personal development book I have ever read distilled down into just 600 pages of complete goodness. My very dear (and very wise!) friend, Songy Knox, suggested we read this book together. Every chapter is pure gold and we both appreciate the power of a good discussion to help cement our knowledge. It’s also just a beautiful excuse for us to come together every couple of weeks, drink tea, share our thoughts, and discuss the book. The chapter we completed last Wednesday was “Chapter 23: Practise the Rule of Five”. 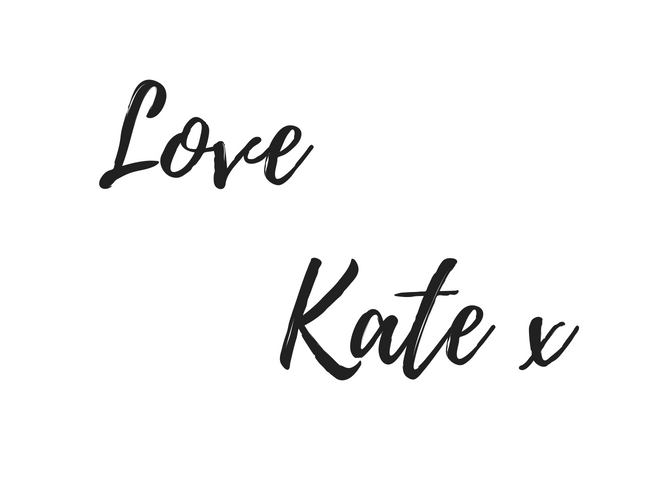 Now, I can appreciate that there might be some people reading this and thinking “Kate, that is not clever at all, that is common sense”. Indeed it is common sense, but why is the average person not doing it?? Why are people repeatedly giving up on the dreams, goals and other things they want in life? My guess is it’s because it takes time and persistence, and without a committed plan or strategy or a lack of instant results it can be easier to just quit. By committing to take five actions towards the completion of a goal means that you now have a system. You simply have to show up every day, do the five things, and eventually you arrive at your destination. Guaranteed. Ron Scolastico(a good friend of Jack Canfield’s and also a very wise teacher) uses the following example: “If you would go every day to a very large tree and take five swings at it with a very sharp axe, eventually, no matter how large the tree, it would have to come down”. This is The Rule of Five in play. So, let’s say you want 10 new clients a month, what are five things that you could do each day to reach that goal? You could: make at least one phone call to a prospective client, make one cold call, connect with one past client to see how you can continue to support them, post something on social media every day, develop content to give away as an attraction strategy, attend networking events, and so on. Say you want to have abundant health (you would firstly have to define exactly what you mean by that), what are five things you can do every day to ensure you reach your goal? My suggestions would be to: drink two litres of water, eat at least five serves of vegetables, get outdoors, meditate, get enough sleep, make sure you have good fat in your meals, stretch your body, and so on. If you are committed to growth, simply reading ten pages of a great book on the topic every day will most definitely set you up for success. Imagine one year down the track…. That is a lot of books and a lot of knowledge that you would have accumulated. 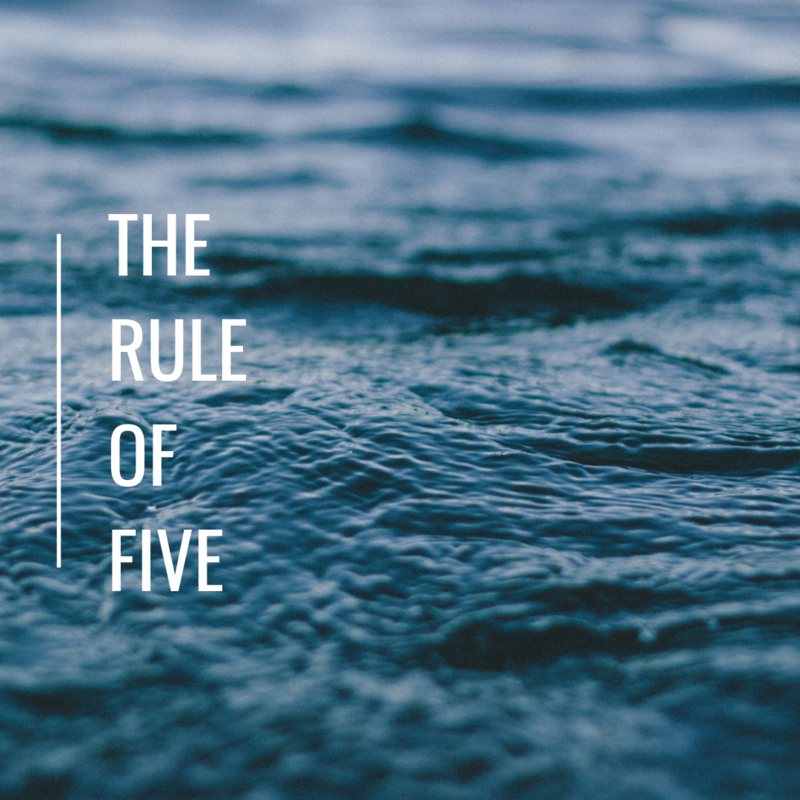 If you are looking for a new strategy to help you achieve the things you want in your life, give The Rule of Five a go. It’s so simple and logical that you just HAVE to succeed.